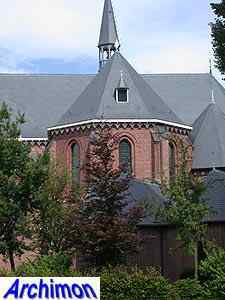 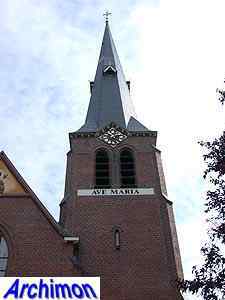 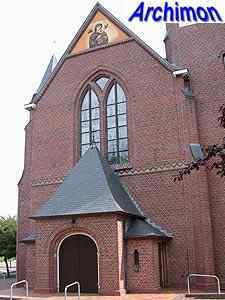 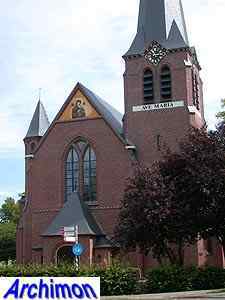 Although Mariaparochie is a village in its own right, it grew around, and was named after, the third catholic church of the city of Almelo. 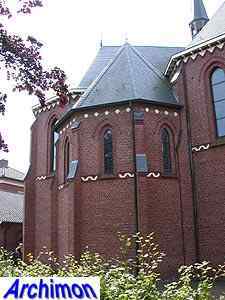 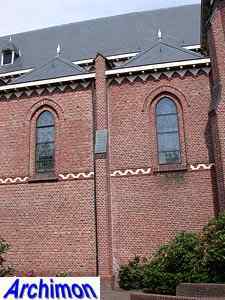 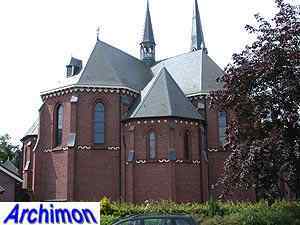 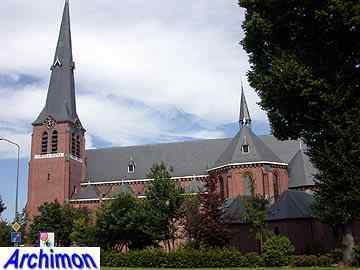 In fact, the part of the village with the church still belongs to Almelo, while the rest is part of the Tubbergen municipality. 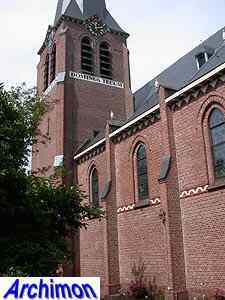 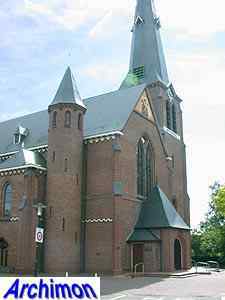 The church was designed by Jan Stuyt. 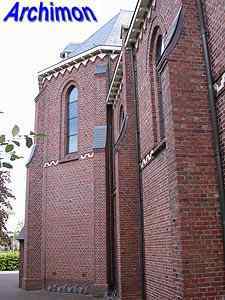 Due to a lack of building materials in World War One, it was built in two stages. 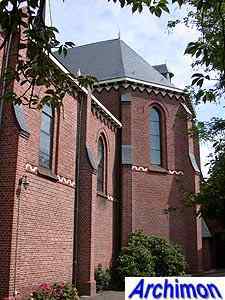 In 1918 the eastern part was built, consisting of the nave and transept and chapels in the corners between those, and one trave of the nave and side-aisles. 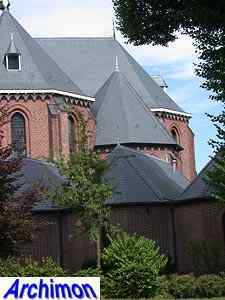 A small centralizing church. 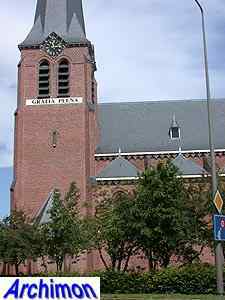 The rapid growth of the population of the parish soon called for a larger building. 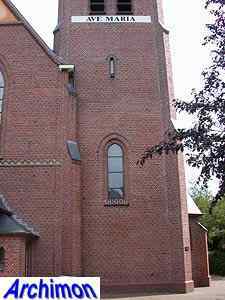 In 1923 the church was completed with the remaining part of the nave and a tower at the side of the front. 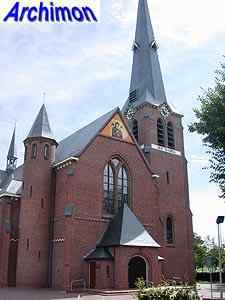 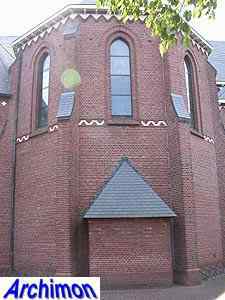 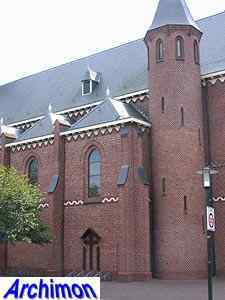 The church is in neo-Gothic style. 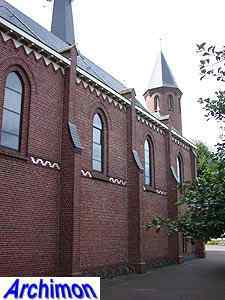 Although the church is three-aisles wide and the central aisle is clearly higher than the side-aisles, a clerestorey is missing, making this a pseudo-basilica. 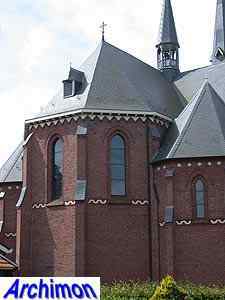 Each trave of the side-aisles is covered by a seperate roof. 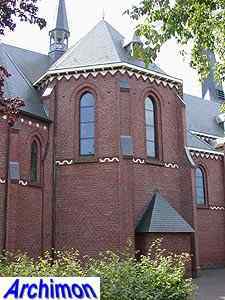 The choir and transept-arms are polygonal, as are the chapels.